For all of you who don’t know, there’s an amazing group at The College of Saint Rose called Girls 4 God (G4G). The mission is, “G4G stands for Girls 4 God, and is an organization that wants to help, support, encourage, and empower girls and women! No girl should ever feel less than, it’s time to change that.” Led and founded by Junior Tinamarie Stolz, the group was just a dream made into reality through various forms of social media, word of mouth, and campus activities. 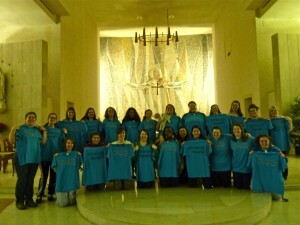 Showing off our G4G swag in the Chapel. 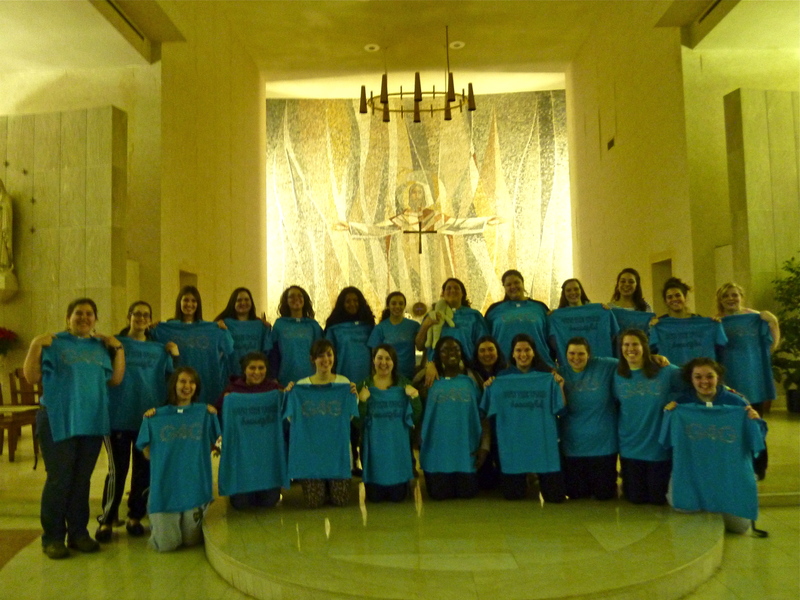 On February 1st and 2nd,G4G led a retreat at the St. Joseph’s Provincial House in Latham, NY. While staying at the Provincial House, each girl was paired with a nun who would be praying for them throughout the retreat. I had the pleasure of meeting Sister Lamese, who graduated from The College of Saint Rose with a business degree. Sister Lamese showed me the chapel and told me the story behind the mosaic of Jesus that takes up the entire front wall of the chapel. Then we had dinner together where she told me about her time at Saint Rose and after; Sister Lamese is truly an inspiration of what I hope to achieve after graduation. 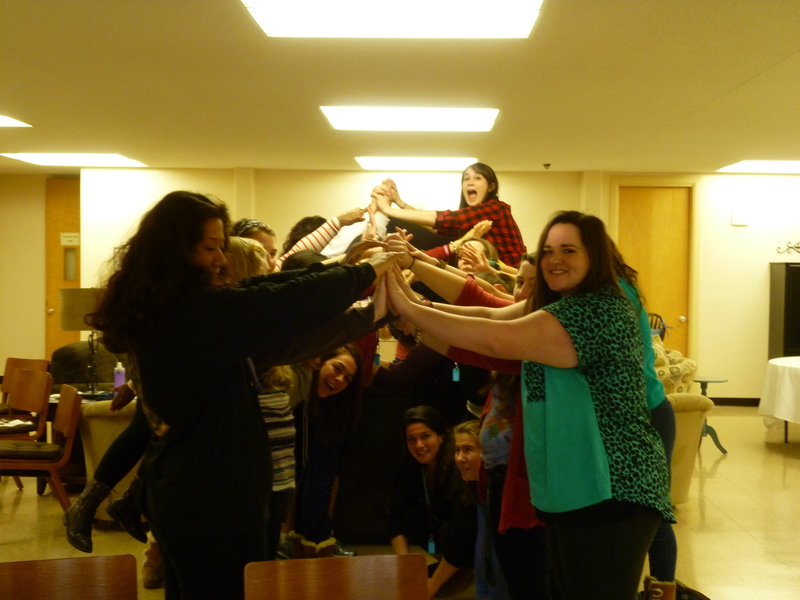 Ice breakers and group activities are never a dull moment in G4G. You can read blog posts for G4G here, and don’t forget to like G4G on Facebook. G4G meets Tuesday nights at 7pm in the Sanctuary basement.